The bad news is that I had to work on a Saturday! The TERRIFIC news is that I WON AN AWARD! Yippee! Each year The Northside Sun submits ads to compete in the Mississippi Press Association ad contest. This is my second year to submit ads to compete in the contest, and I won four awards! Yes, it may be a little silly for me to be so excited! But I am so competitive and I love to WIN! LOL! My earnings include three 2nd place prizes as well as one 1st place prize!!! With the 1st place award I also receive a nifty plaque to add to the wall at the office! So fun! Today Maggy retrieved her final duck. And I can only imagine it was her favorite hunt yet. She was the lone retriever this morning. Two and a half hours into an exciting hunt she was retrieving a duck when she had a heart attack. Just thinking about our favorite fox red lab makes me cry. Her welcoming wag, continuous kisses and distructive tail will be memories we cherish always! 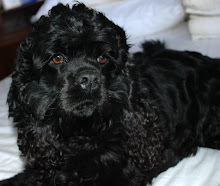 Although I was only around for seven of her eleven years, I loved her like she was my own. For Wayne the loss has been particularly difficult. 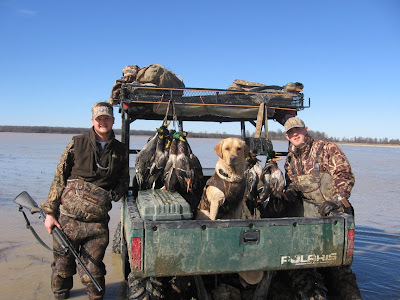 After all, for a duck hunter, a man's dog truly is his best friend. 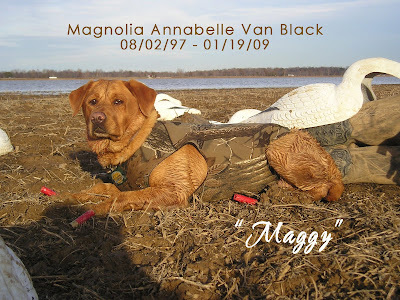 Maggy was buried at the cabin, her favorite place. Is growing super fast! On December 20th we celebrated her first birthday! 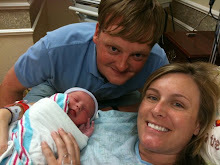 I can hardly believe she is already one! This is Nova just days after we brought her home! She is so tiny! And look at those big blue eyes! And now she is such a big girl! She weighs 20.5lbs and the breeder says she looks just like her mom, Madi! So, everyone has been asking "Where is Wayne?"!!! Well, there is one very simple answer... HUNTING! After Christmas day festivities Wayne was gone! He has been doing some man-bonding ever since! 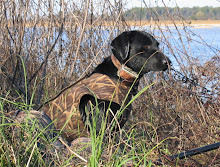 Below is a storybook of a few of his adventures in the vast duck fields and timber! Wayne and his best friend for life, Chris Reed! And the adorable, huge lab is Otis - he belongs to Chris and is Neeli's brother! After hunting in the timber with some of buddies and a fun-loving chesapeake, Canton, who cannot keep her eyes off the ducks! Too cute! At the cabin after a hunt with his dad and Caleb Luke! 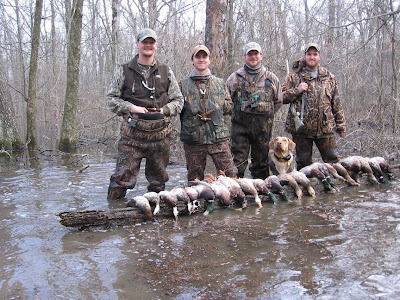 As you can see, Wayne is a bit OCD about pictures and how the ducks are lined up! Funny!!! Yippee! 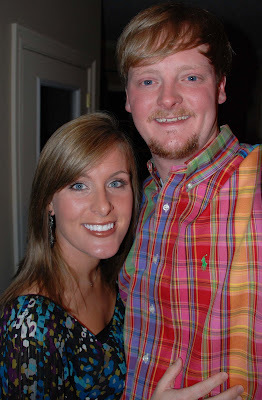 Wayne took a morning off from duck hunting to celebrate the New Year with his wife! Smart move Wayne-o! ;) When enjoyed dinner together then went to party the night away at Katy and Cliff Agnew's house! 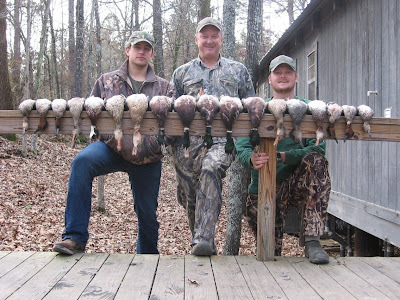 Well, the duck hunter tried to be a good sport, but he did not make it too long! We got home and in the bed just in time to see the ball drop and smooch! So, I guess it is official - we are old! Happy New Year anyway!